The Witcher 3: Wild Hunt is set to release next month on May 19, but will it be worth picking up the game early? 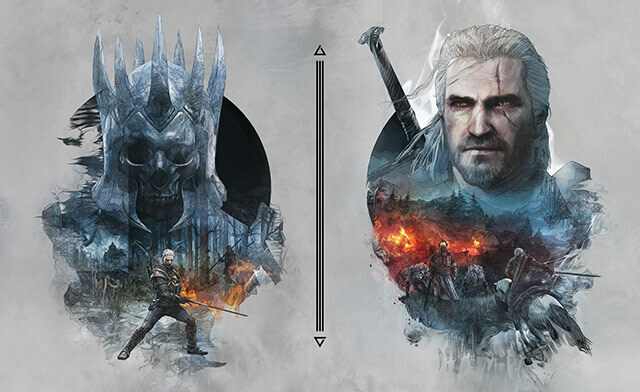 We already know Wild Hunt could be over 200 hours long, and that it will include “dynamic beard growth,” but the real deciding factor generally comes down to what you get out of the box and what you get if you pre-order. And we’ve seen the $ 150 collector’s edition before, but here’s a quick look at the more expensive box. And everyone who purchases the game, pre-order or not, will have access to free DLC. The team plans on releasing 16 DLC packs total, with a new bundle available each week after launch. The first is the Temerian Armor Set, which includes horse armor, and a Beard and Hairstyle Set for Geralt. Preorder from GameStop for an “exclusive Witcher keychain.” The tchotchke will either ship with your game if you order online or be available in store when the game is purchased. Best Buy pre-orders get access to the SteelBook case pictured above. But if you decide to forego physical editions, digital orders come with their own set of pre-order incentives and perks. The Witcher 3: Wild Hunt launches on May 19 for PC, Xbox One, and PS4. And for even more information about the game prior to its release, you can read GameSpot’s previous Witcher coverage here. 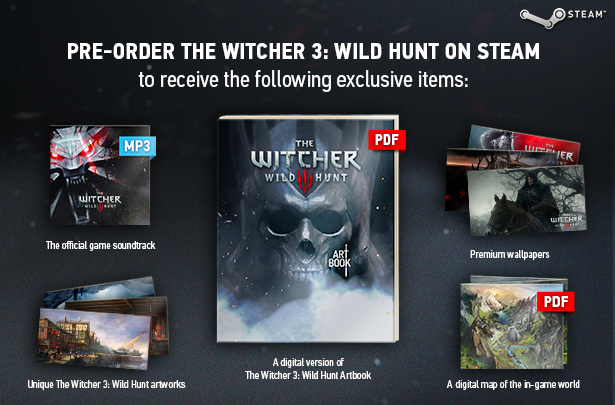 Tagged bonuses, Hunt, PreOrder, Preview, Wild, Witcher.